Soon mobile phones will be able to be rolled, dropped, squished, thrown, stepped on and still remain in perfect condition. Set to be available next year, mobile phone companies seem ready to release indestructible devices, and manufacture flexible handsets with prototypes from Nokia, Samsung and other industry giants already on show. Rumours are circulating that 2013 could well be the year of the bendy mobile technology. Professor Andrea Ferrari, of Cambridge University, who is working with Finnish manufacturers Nokia told the BBC: “We are working on flexible, bendable and transparent displays and surfaces that could in future be part of flexible phones, tablets, TVs and solar cells. Samsung are using technology called OLED (Organic Light Emitting Diode) while other phone makers, such as Nokia, are experimenting with graphene. Samsung claim the devices will be “foldable, rollable, wearable and more, will allow for a high degree of durability through their use of a plastic substrate that is thinner, lighter and more flexible” than standard display technology. 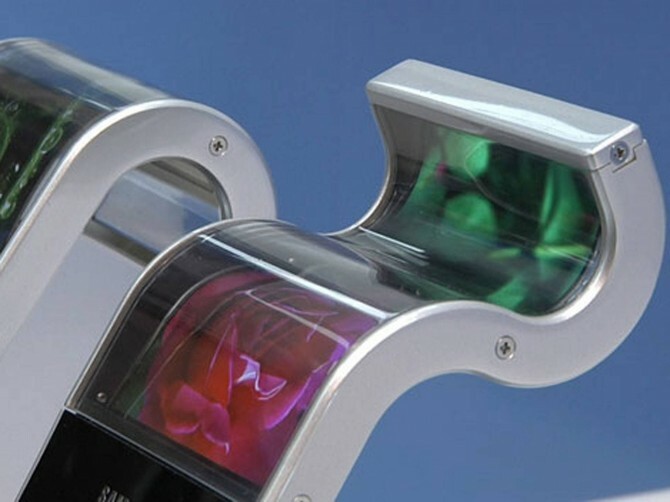 In 2005, Phillips revealed their first prototype with a completely rollable display but the technology seemed to have been swept under the carpet. Now, with graphene technology set to replace silicon in the world of displays, malleable mobiles could take their place in phone shops around the world.